Astor Street Opry Company is proud to present the 35th Season of SHANGHAIED IN ASTORIA, the Live on Stage… Award Winning…Family Entertainment…Original…Historical… Hysterical…Broadway-Style…Musical Melodrama. 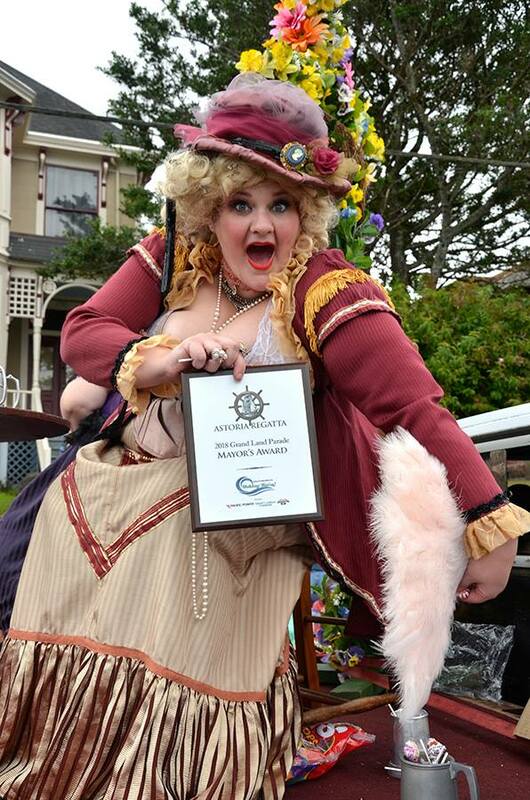 The 35th season of SHANGHAIED IN ASTORIA opens July 11th and runs through September 14th at the ASOC Playhouse, 129 W. Bond Street in Astoria, Oregon. SHANGHAIED IN ASTORIA began in the mid 80’s with a bare bones budget and cast of fun and talented friends has now grown into a piece of Astoria’s folklore, entertaining nearly 100,000 people in its 35 season history. Our story centers on the “Shanghaiing” of our hero and his daring rescue all in melodramatic style with audience participation by cheering, booing, sighing and throwing popcorn. Show times are July 11th- September 14th at 7 pm Thursday-Saturday, with 3 Sunday matinees at 2 pm on July 28nd, August 18th and September 8th. Tickets are $20 for front row seats, All other seats – $15 adults; $10 children. This season we are featuring $10 Fridays, with $10 tickets for non-front row seats. $10 Fridays DO NOT include premium, front row tickets.